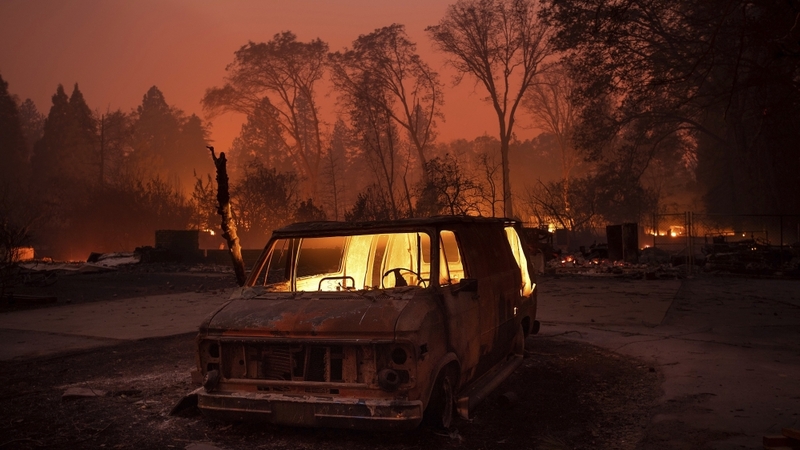 A fast-moving wildfire that ravaged a Northern California town on Thursday sent residents racing to escape on roads that turned into tunnels of fire as thick smoke darkened the daytime sky, wiping out what a California Fire official said was a couple of thousand structures. Officials confirmed that at least five people were found dead in vehicles torched by the flames. 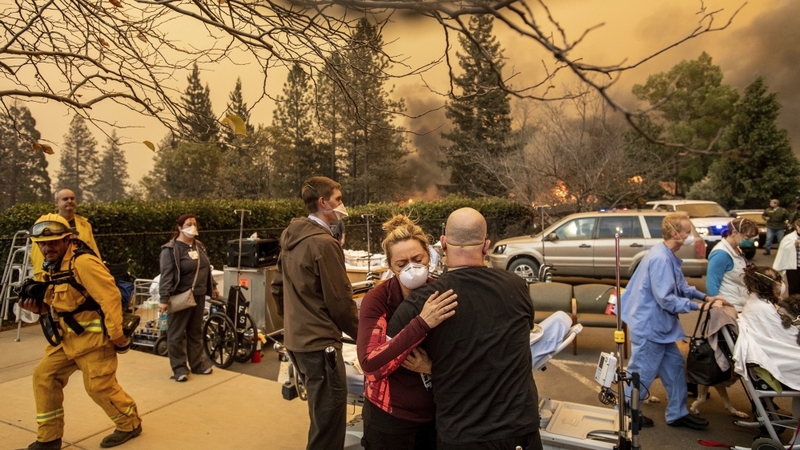 “Pretty much the community of Paradise is destroyed, it’s that kind of devastation,” said California Fire Captain Scott McLean late Thursday. He estimated that a couple of thousand structures were destroyed in the town about 290 kilometres northeast of San Francisco. Meanwhile, portions of Southern California remained under siege early Friday as two large fires threatened numerous Ventura County communities. The National Weather Service issued red-flag warnings for fire dangers in many areas of the state, saying low humidity and strong winds were expected to continue through the evening. 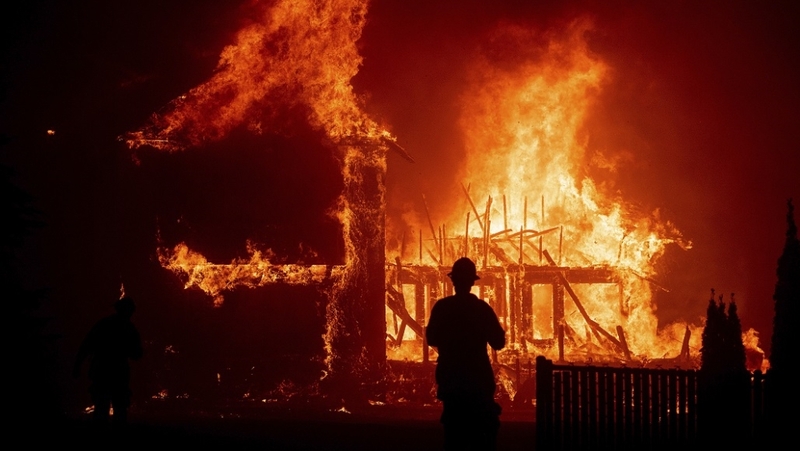 The fire in Northern California’s Paradise was reported shortly after daybreak in a rural area. By nightfall, it had consumed more than 73 square kilometres and firefighters had no containment on the blaze, McLean said. In the midst of the chaos, officials said they could not provide figures on the number of wounded, but County Fire Chief Darren Read said at a news conference that at least two firefighters and multiple residents were injured. Kelly Lee called shelters looking for her husband’s 93-year-old grandmother, Dorothy Herrera, who was last heard from on Thursday morning. Herrera, who lives in Paradise with her 88-year-old husband Lou Herrera, left a frantic voicemail at around 9:30 am saying they needed to get out. Acting California Governor Gavin Newsom declared a state of emergency in the area and requested a federal emergency declaration, saying that high winds and dry brush presented ongoing danger. 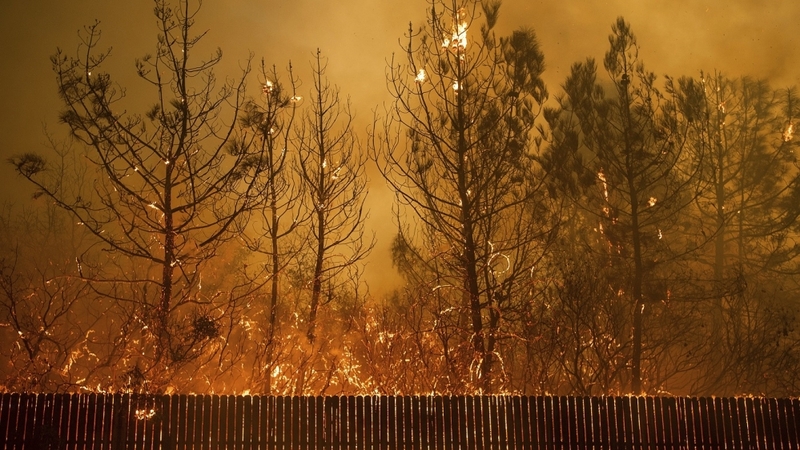 The fire in Southern California was being whipped up Thursday evening by powerful winds that pushed it through canyons and to the edge of Camarillo Springs and CaliforniaState Channel Islands, both of which were evacuated, The Los Angeles Times reported. The blaze broke out in the Hill Canyon area and in just 12 minutes jumped the 101 Freeway. By Thursday evening, it had scorched up to 2832 hectares (7,000 acres) and sent residents of more than 1,200 homes fleeing. Next articleHow close is the world to another global conflict?